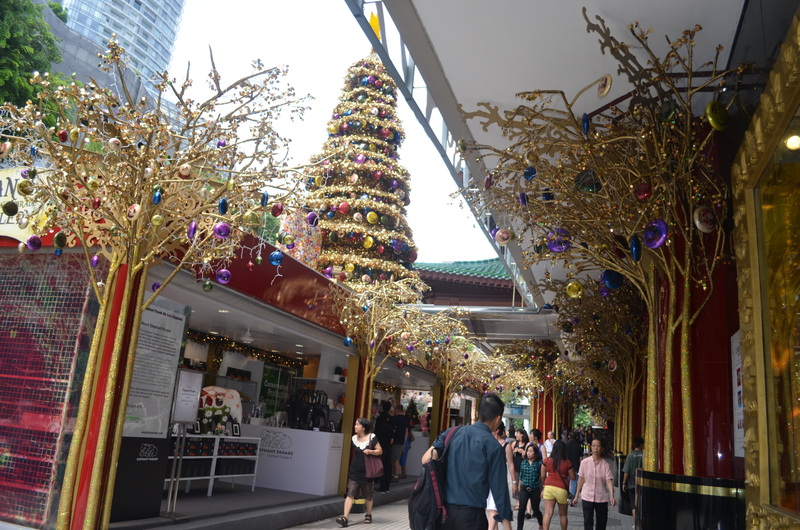 Before our visit I heard that Singapore is good for shopping and eating. Shopping doesn’t even make the top 5 of my favorite past-times but eating…well, let’s just say I’m all about it. 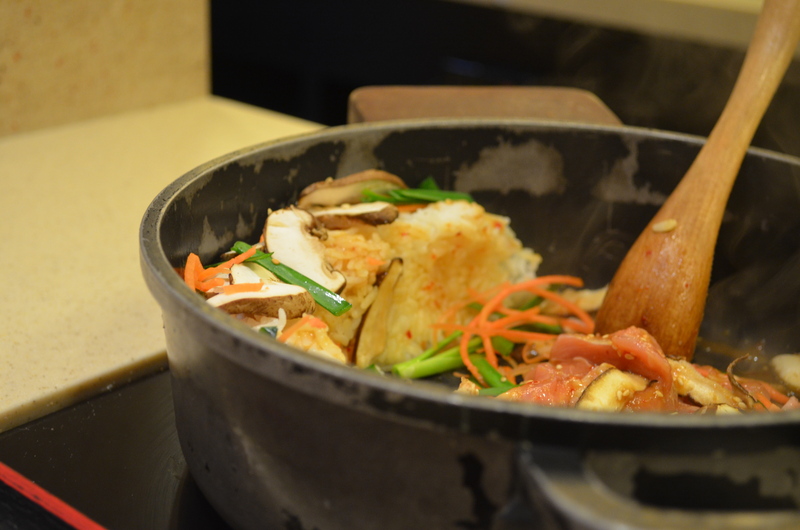 While in Singapore we tried a few dishes that would be, to me, Singapore signature dishes or experiences. My favorite was probably Long Beach Seafood where we shared a famous Chili Crab. 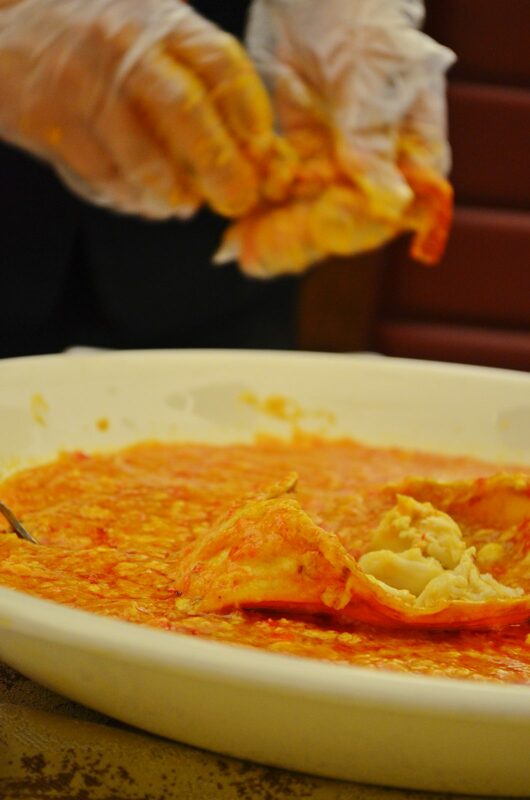 While I saw the servers asking others if they needed help with their crab, our waitress astutely identified us as helpless tourists so she didn’t even ask us before she expertly began breaking open the crab and replacing its contents into the shell dish for us to eat. 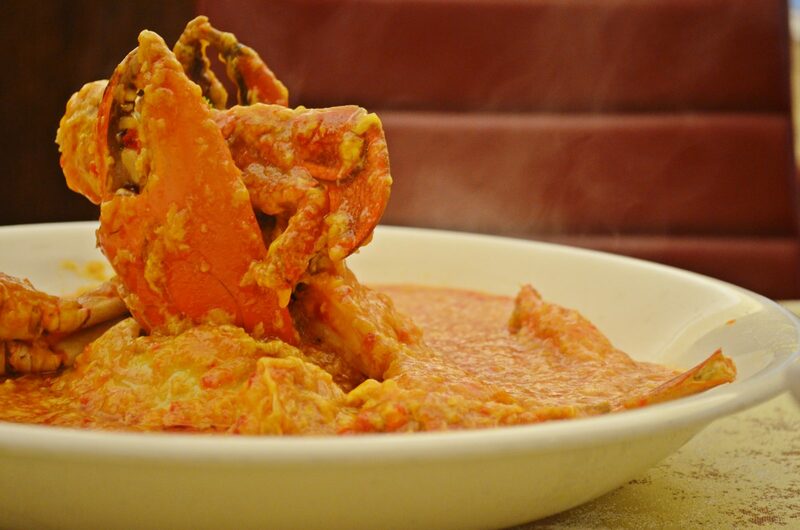 The crab is served in a wonderful sweet, slightly spicy sauce which can be (and was) lapped up with gorgeous fried bread. YUM! 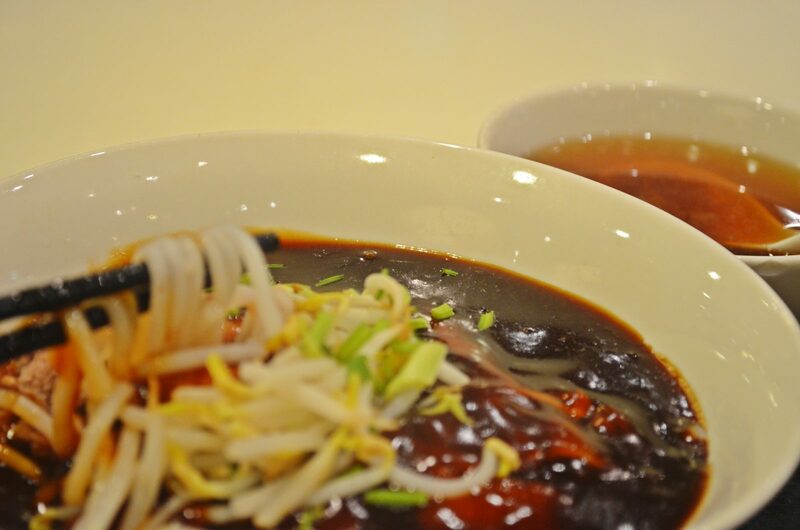 We went to the Food Opera at the ION Orchard which is basically an upmarket food court/hawker spot, but contrary to the typical food court in the US, the Food Opera featured fabulous and famous dishes, including Scotts Beef Noodles ($5!). I ordered mine dry and enjoyed every last bite, from the not-too-salty gravy to the tender beef. And finally, we HAD to go to Din Tai Fung. Also not a traditional Singapore experience (the restaurant originates in Taipei) but “an experience” nonetheless. 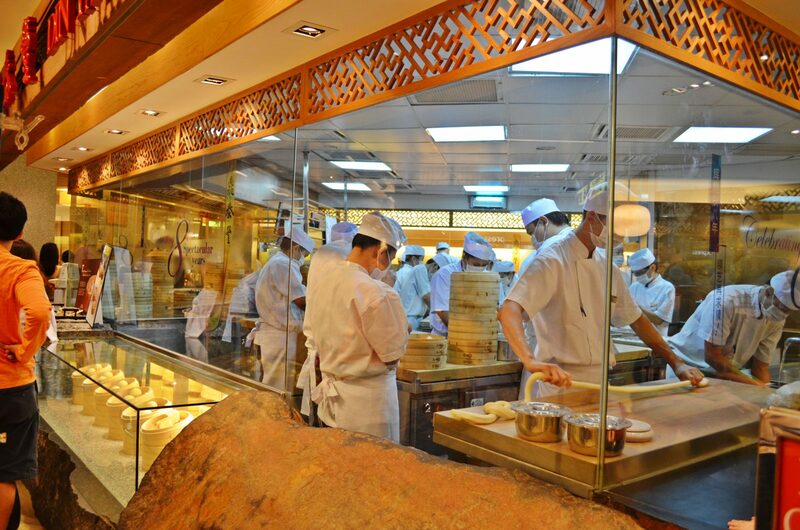 We were fascinated watching the little army of chefs at their stations, expertly and efficiently crafting the dumplings. The steamed pork dumplings were bite-sized bits of heaven. 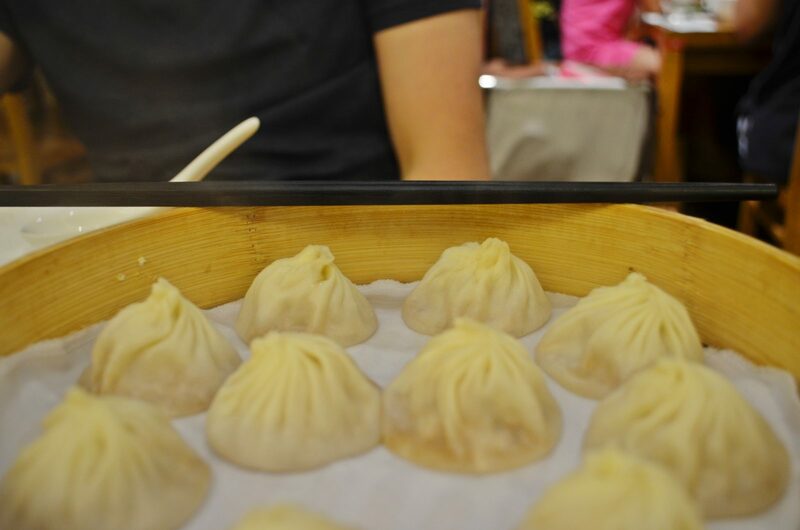 We enjoyed everything at Din Tai Fung — from the sesame buns to the jasmine tea — that I wish we had time to make it back. Oddly enough, we may have to grab our next Din Tai Fung experience on our next visit to Sydney, Seattle, or Los Angeles. 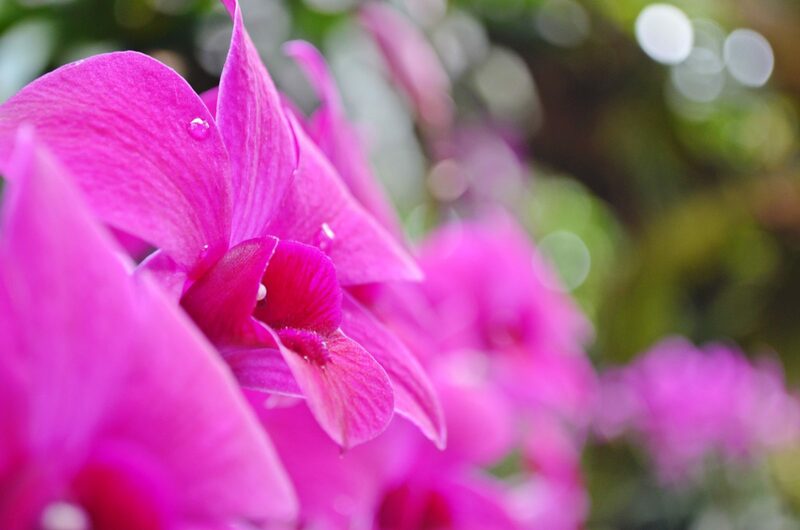 If you like orchids than you would love the Orchid Garden at the Singapore Botanic Gardens. 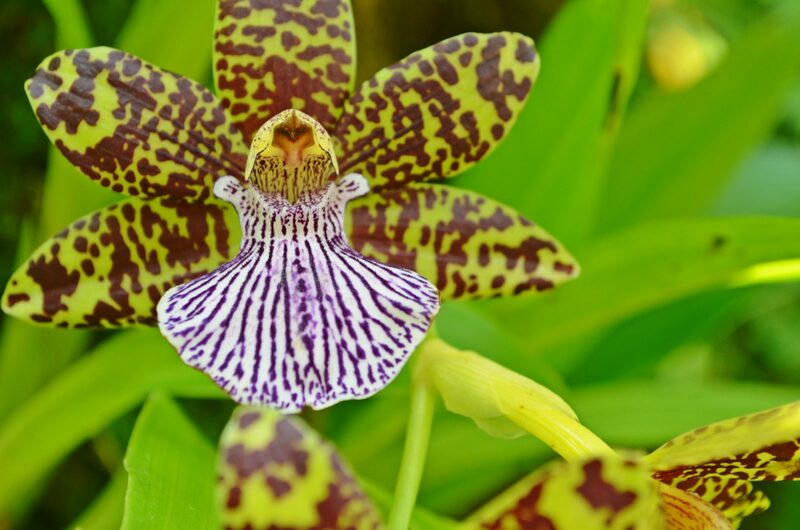 Many of our readers may know what orchids look like but in case you are like us — and didn’t know there are so many diffferent colors and patterns — we have included a myriad of different photos. Living in America you will see these dainty flowers in the local supermarkets for sale in pots for outrageous prices and if you are foolhardy enough to purchase one you will find that they are beautiful for a bit but after their short “beautifying” existence, they lose their flowers and then just turn into 3 – 4 broad green leaves (with a certain impending death if they live in our house…sorry, Wife). 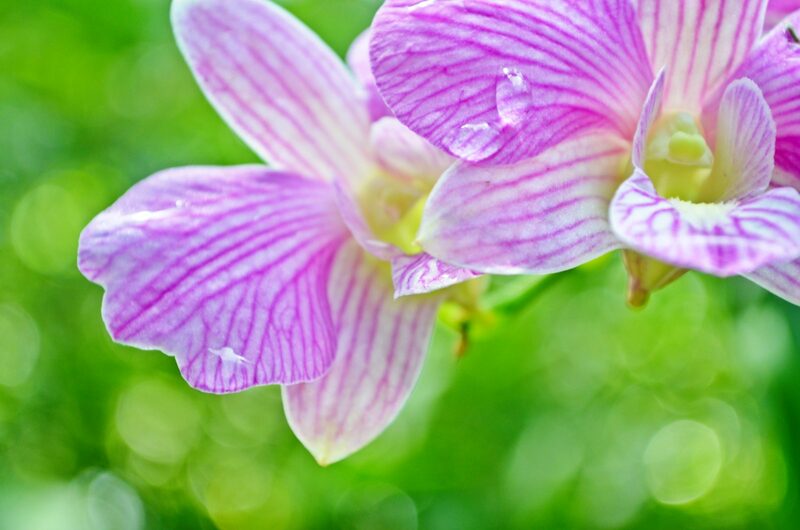 However these delicate flowers thrive in the humid, hot and basically soaking wet country of Singapore. 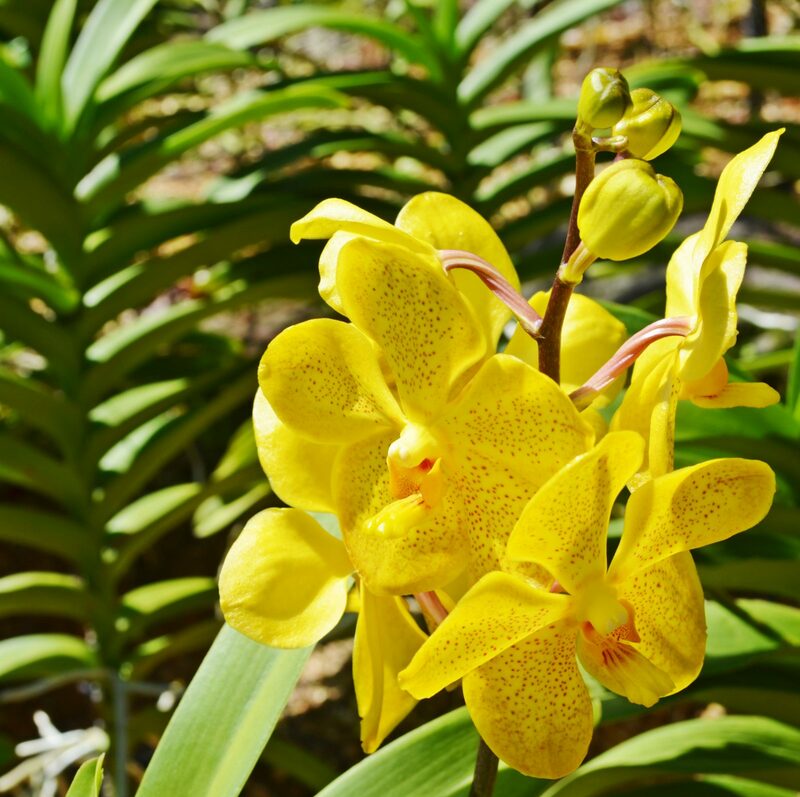 The garden consisted of 30,000 – 40, 000 different types of orchids and within the first 10 meters you will agree with your partner that your $10.00 total to enter the garden was well worth it. 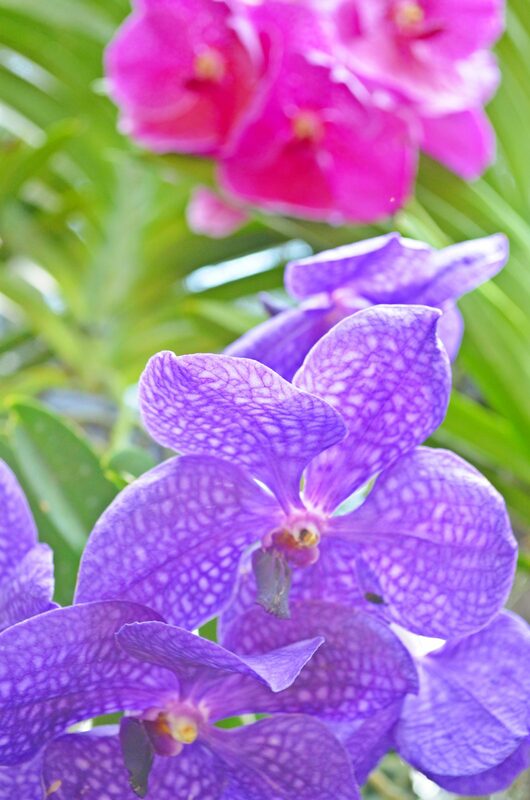 After walking through the steamy garden you start to dream for an air-conditioned room and if you keep to the signs and follow the path that leads you to the cool room you will find your dream a reality. 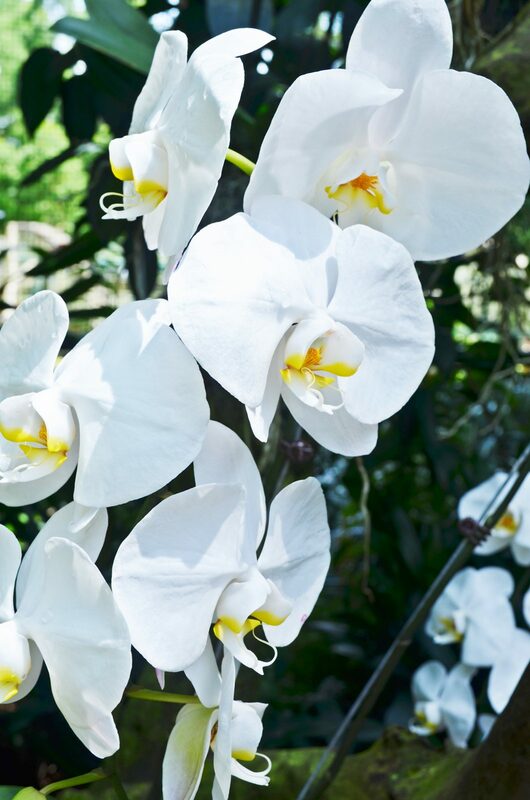 Within this cool room you will find an array of carnivorous plants and orchids that grow in the highlands of Asian countries. 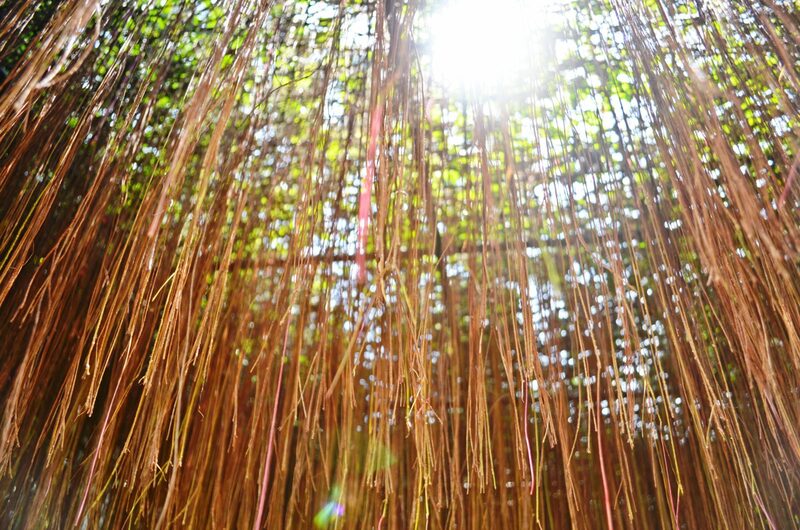 We walked, we talked, and were amazed by the sights and scenes in the Singapore Botanic Gardens, including this Curtain of Roots (Princess Vine). 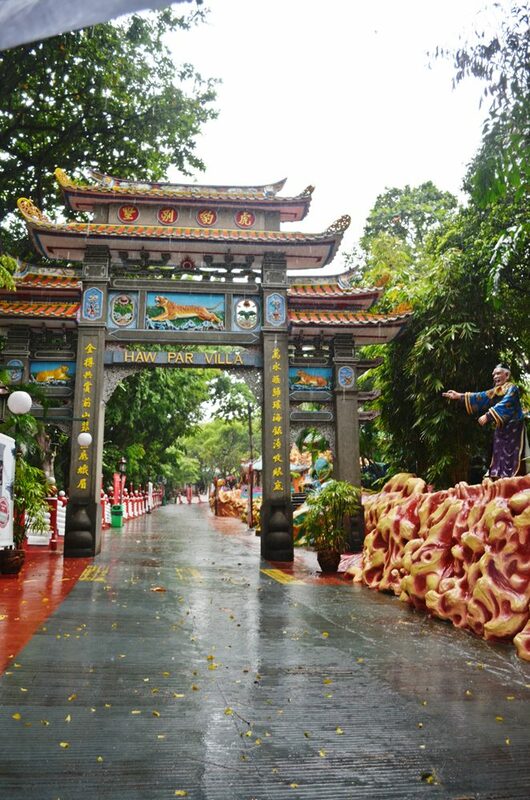 Our most memorable Singapore experience was undoubtedly the Haw Par Villa. It’s known as an amusement park for children but it’s really an elaborate sculpture garden and I can’t see bringing my (future) children there and you’ll see why. 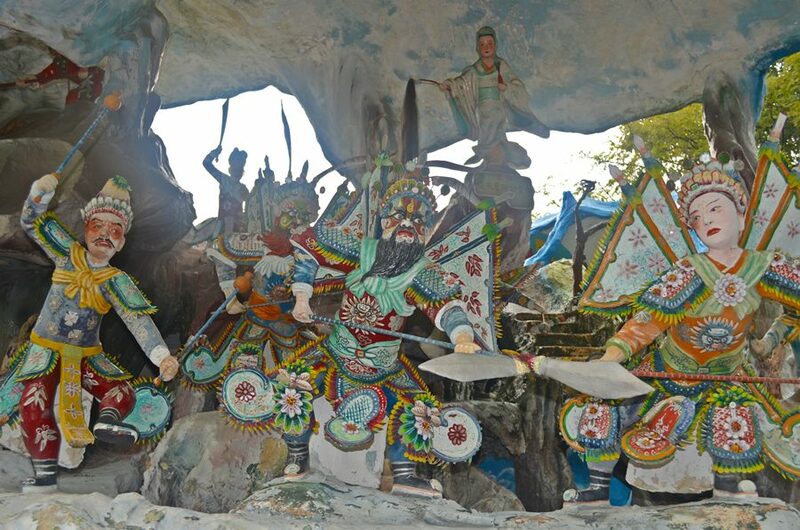 The park itself is full of incredibly artistic and interesting sculptures depicting Chinese folklore. It’s a shame it’s not better maintained because most of the signs in front of the sculptures were so worn down that we couldn’t read the English version. 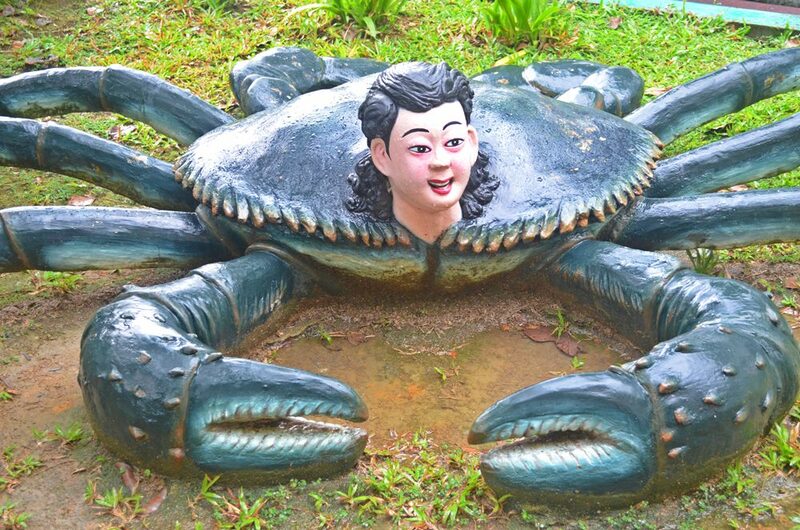 Even with a translation, however, I’m not sure we would’ve fully understood all that Haw Par Villa had to offer. The park was very deserted the day we went. It could’ve had something to do with the pouring rain we experienced the entire time. We still managed to have a bit of fun, of course. 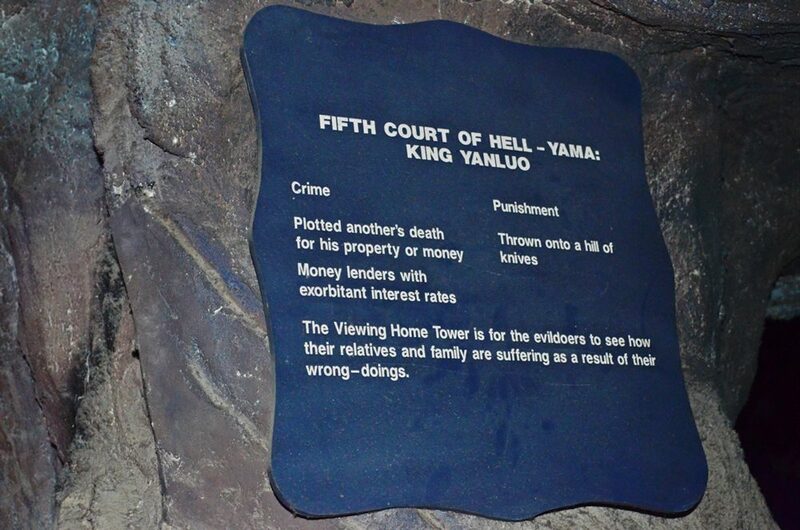 The “main attraction” — if you can call it that– of the villa is the Ten Courts of Hell. According to a Buddhist legend, before a person is reincarnated, he/she is judged in these said courts and are either set on the “gold path” (hint hint: where you want to go) or he/she is punished for their sins. It was an eerie experience. 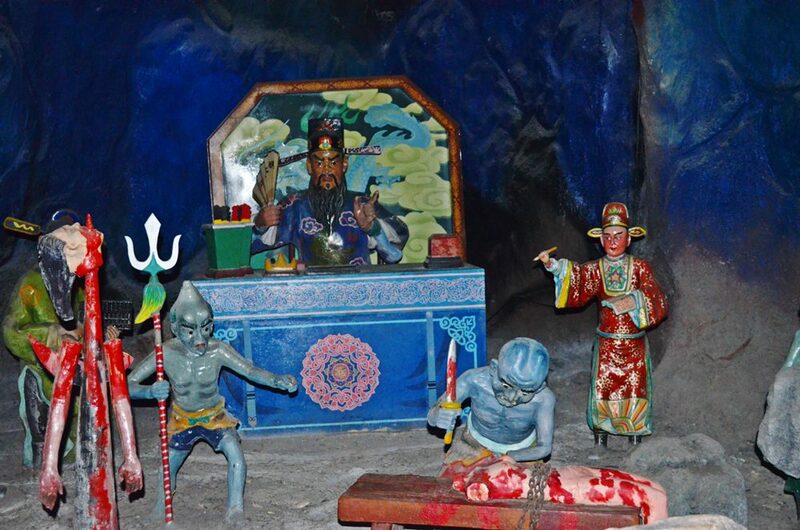 The sculptures depicting the Ten Courts are in a cave-like setting. I’ve already mentioned how the park was nearly deserted when we toured. Additionally, due to the massive rain, the power had been turned off and the entire thing was dark, save for some backup lights. It.was.creepy. This is their culture, we had to keep reminding ourselves but we never could get past the fact that little children were/are brought here to be taught about sinning. On the bright side, we did get more insight to this ancient teaching. I also got a good chuckle in the fifth court. Note crime: Money lenders with exorbitant interest rates. Just sayin’. 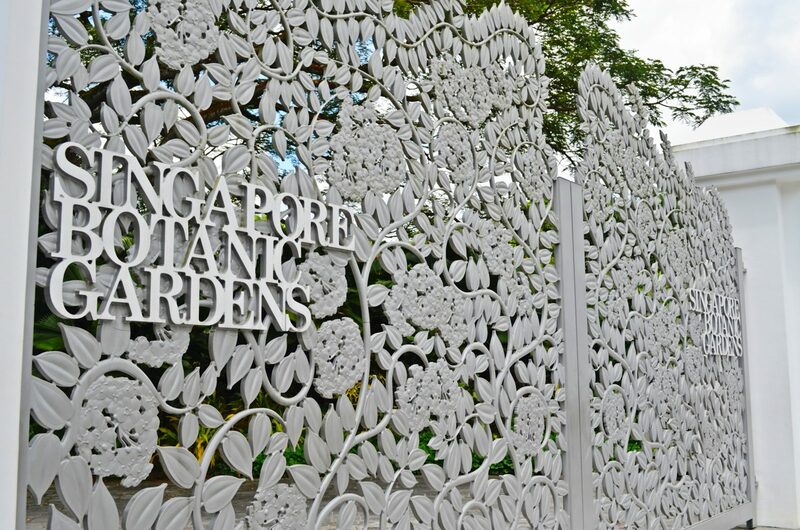 There’s so much to say about our recent visit to Singapore but I’ll do my best to summarize the highlights in a few short blog posts. 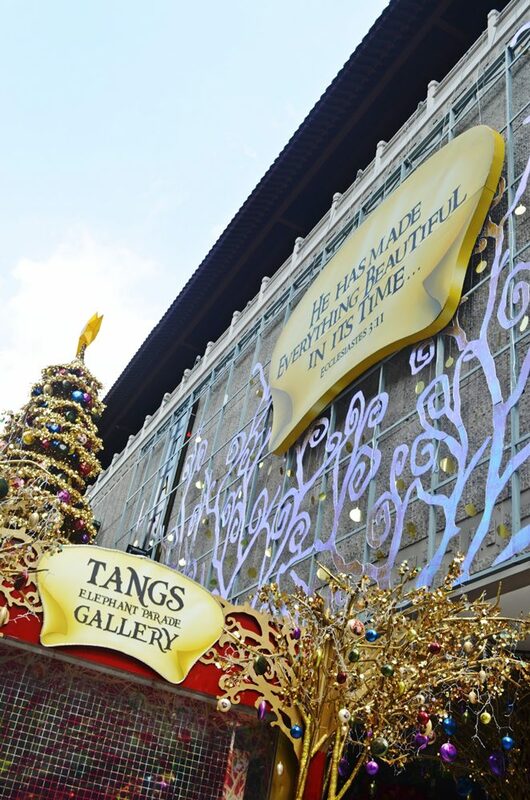 One of the most unique and unexpected attractions was Tang’s Elephant Gallery. 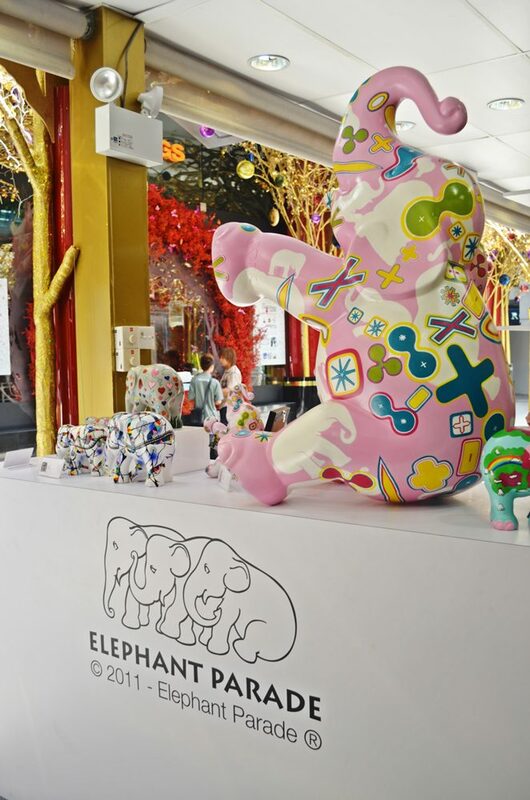 According to the website, the Elephant Parade is “the world’s largest open air art exhibition of decorated elephant statues that seeks to attract public awareness and support for Asian elephant conservation.” The Asian Elephant is nearing extinction so Tang’s, in Singapore, is one of several international companies to support the Asian Elephant Foundation in selling hand-painted elephants from artists around the world. 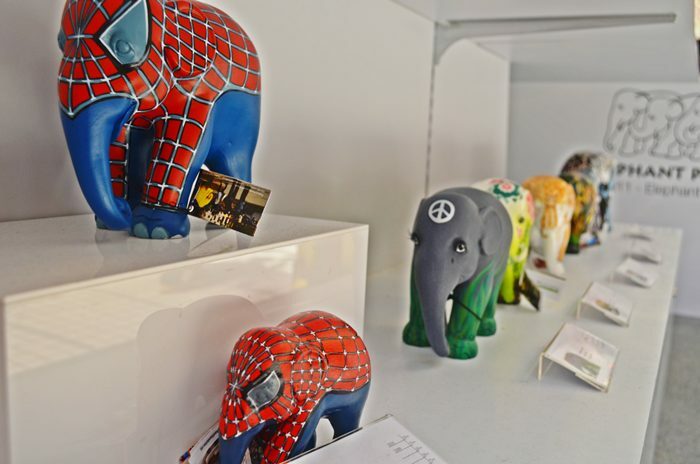 The proceeds go to save the elephants. 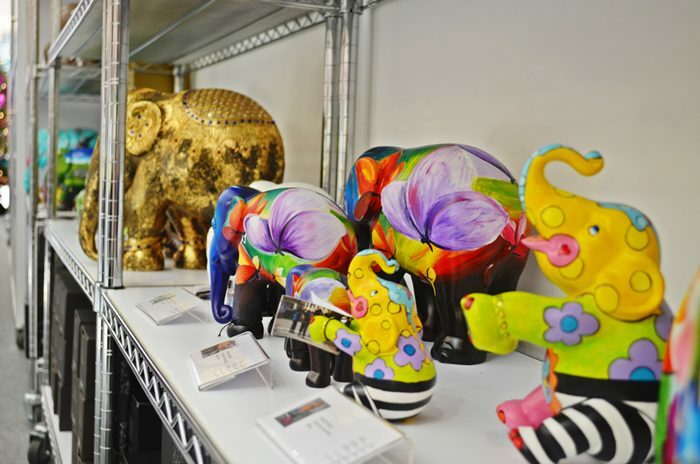 You can view all of the elephants from across the world at the Elephant Gallery Website. A great way to support a great cause!